De Clerck O. / Bolton J.J. / Anderson R.J. / Coppejans E.
The diversity of marine ecosystems along the South African coastline, ranging from luxuriant kelp forests along the west coast to coral reefs in the northern part of Kwa-Zulu-Natal, has undoubtedly contributed to the study of marine life in the southern tip of Africa. Likewise, South African seaweed have drawn the attention of those studying algae (phycologists) as early as the first half of the 19th century and became among the best studied under the influence of eminent phycologists such as G.F. Papenfuss and several of his students. Nevertheless, most of the knowledge on seaweeds of that region remains scattered over the literature and is hardly accessible for the non-specialist. 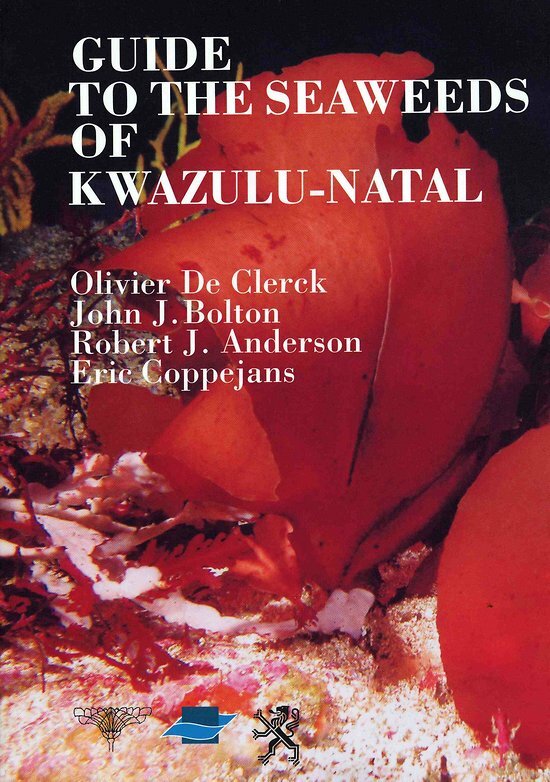 Even until now a comprehensive seaweed flora, summarizing our knowledge and making it available to a larger public, is only available for the South African west coast. Such a work is unfortunately lacking for both the south and east costs, which undoubtedly boast a higher percentage of the algal diversity. 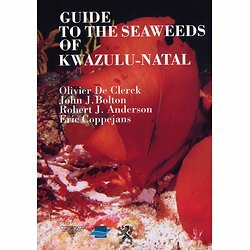 This guide represents a first attempt to introduce the marine benthic macroalgae of KwaZulu-Natal to a larger public. The focus is on the larger macroalgae growing in the intertidal as well as the deeper regions of the subtidal. A total of 212 species (51 green, 31 brown and 130 red algae) are described including indication of distribution and ecology. Each species is depicted by means of colour pictures and where necessary additional photographs illustrating microscopic details.